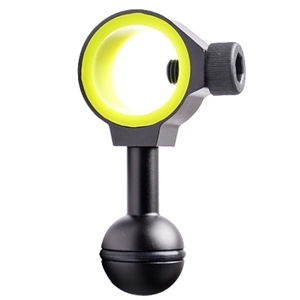 ORCATORCH D550 IS A SMALL AND LIGHTWEIGHT MAGNETIC TAIL SWITCH DIVING LIGHT. 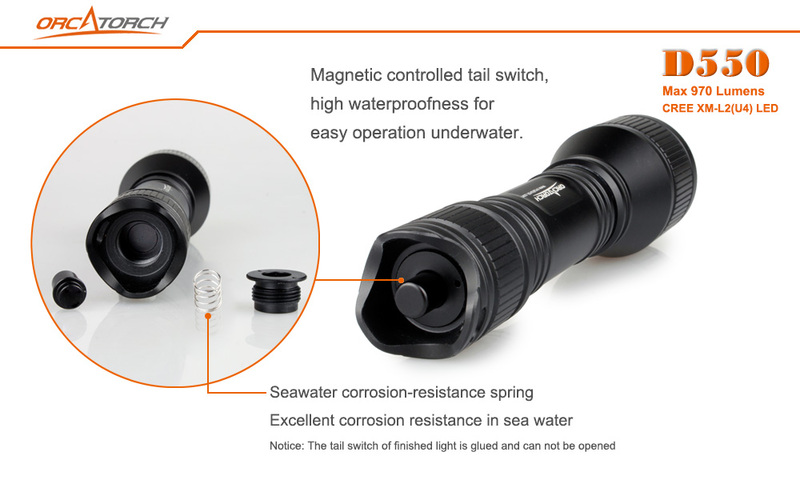 IT IS EQUIPPED WITH A TOTALLY SEALED MAGNETIC CONTROLLED TAIL SWITCH WHICH OFFERS HIGH WATERPROOFNESS AND EASY OPERATION UNDERWATER. 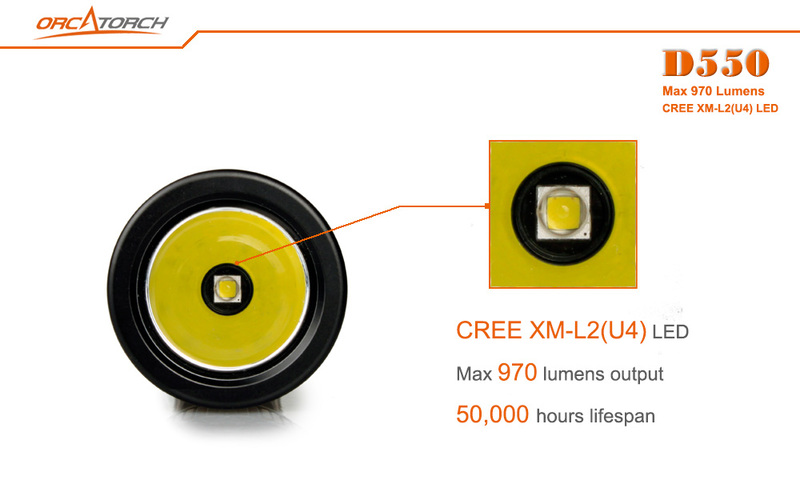 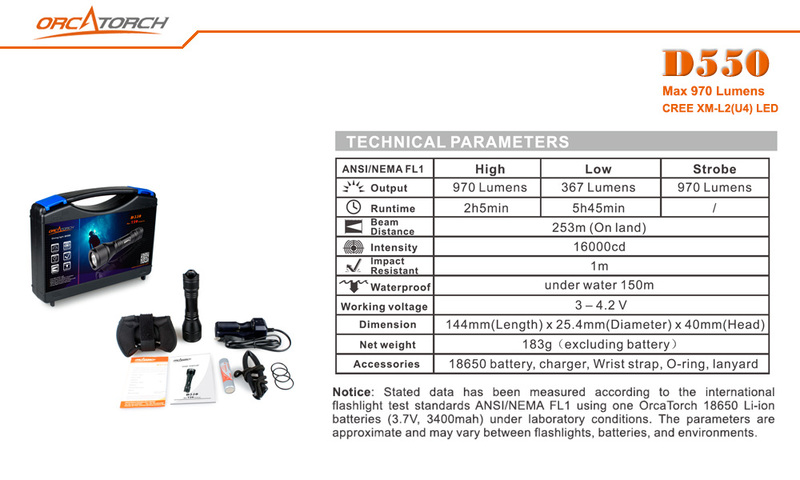 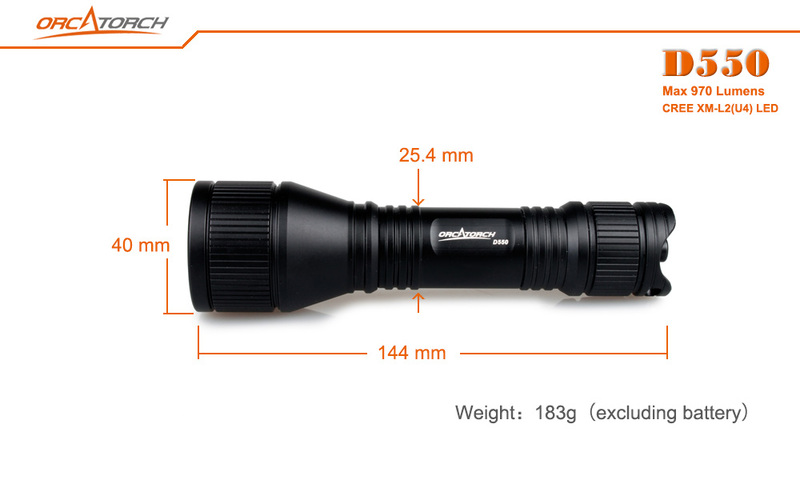 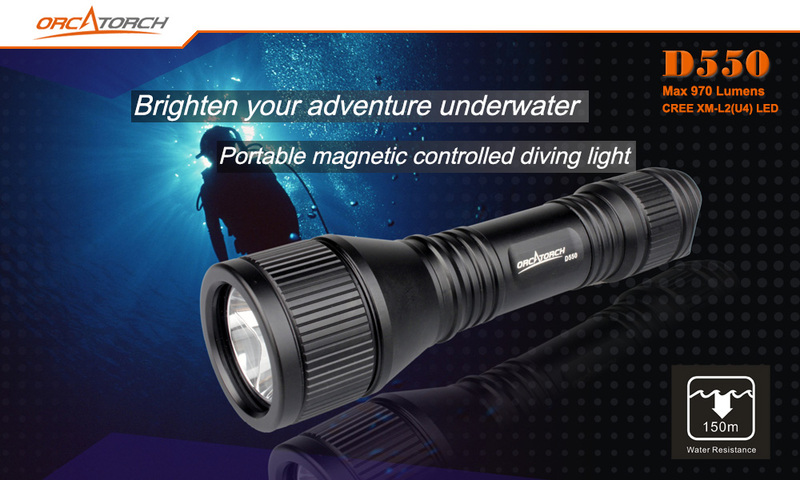 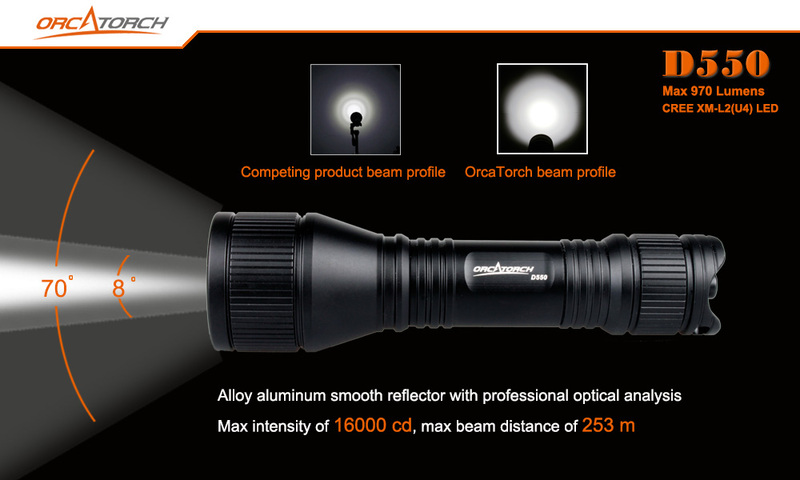 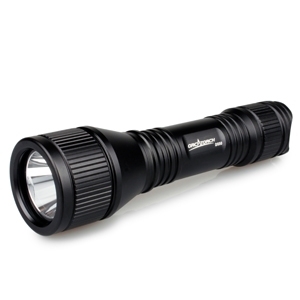 Using the latest USA CREE XM-L2(U4) LED, max 970 lumens output and over 5 hours 45 minutes runtime, this portable diving light offers high and low two modes and one strobe mode for different diving environment use. 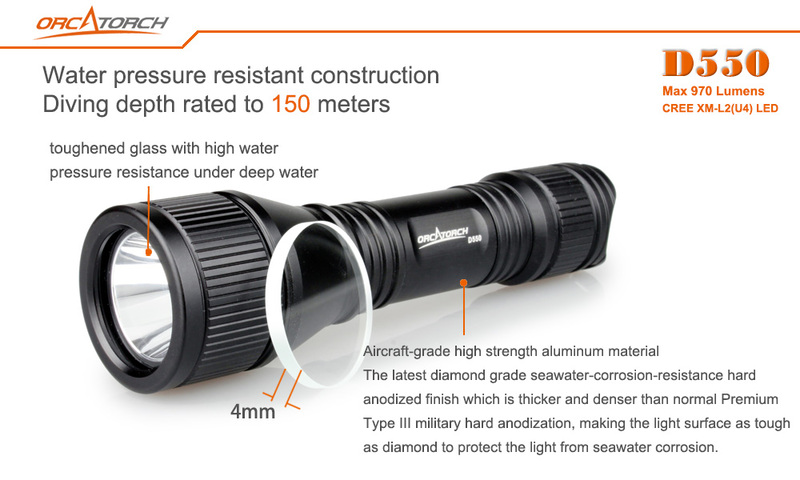 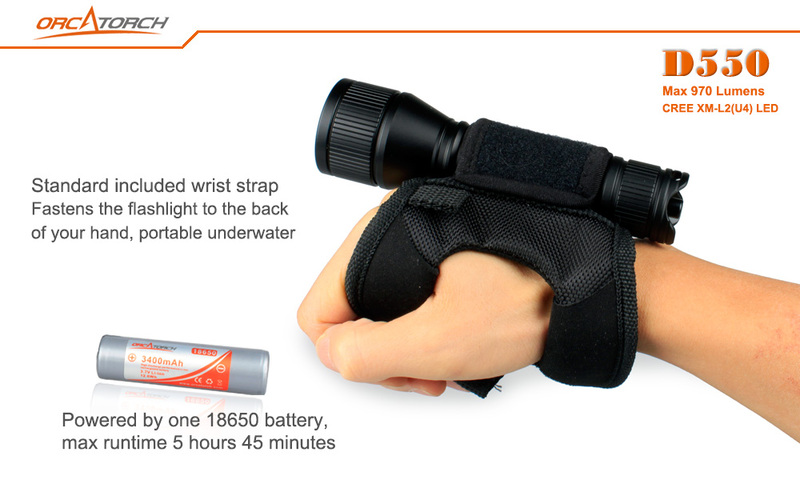 Plus robust water pressure resistant construction, high portability and easy operation, D550 would be qualified for both recreational diving as a primary light and deep diving as a backup light.